In continuing our exclusive social problem-solving series, Drs. Gordon and Selbst, developers of the new POWER-Solving® Curriculum, have addressed the importance of social information processing as a framework for understanding how children and adolescents get along with their peers and adults. Social Information Processing (SIP) is a widely studied framework for understanding why some children and adolescents have difficulty getting along with their peers and adults. and performing the response (doing the chosen response). These steps operate in real time and frequently outside of conscious awareness. Many studies have demonstrated that children and adolescents have deficits at multiple stages of the SIP model which impact their development of appropriate peer interactions and the development of aggressive behaviors (Lansford, Malone, Dodge, Crozier, Pettit and Bates, 2006). As a result, they have difficulty attending to and interpreting social cues, adopting pro-social goals and utilizing safe, effective and non-aggressive strategies to handle conflict situations. 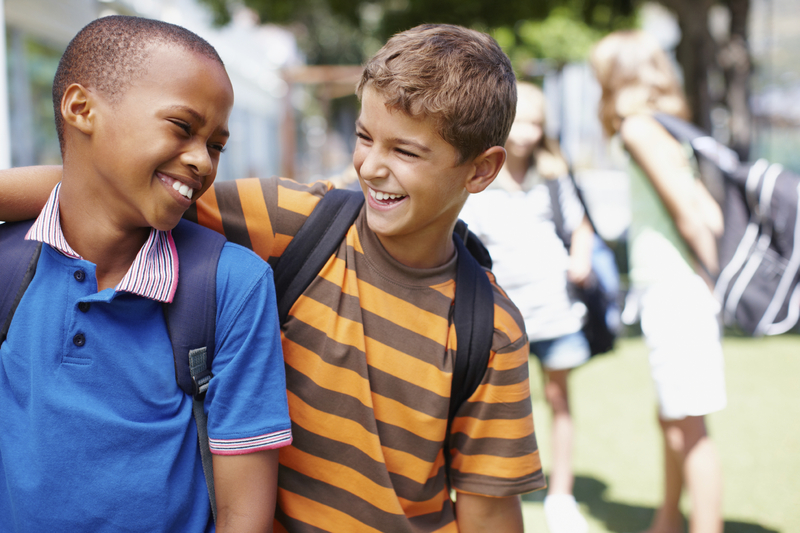 The development of strong social skills has been shown to contribute to the initiation and maintenance of positive relationships with others. The curriculum is comprised of several modules, each with their own materials for facilitators and students. 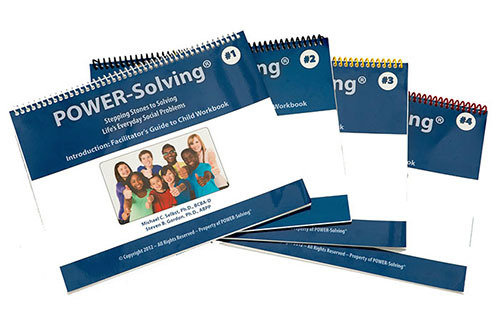 While it is critical for the student to learn the POWER-Solving® Steps first (i.e., the “toolbox”), the facilitator can determine the sequence of the subsequent modules. For example, one may prefer to move to the Anger Management module after the introduction. Alternatively, one may decide to move to Social Conversation or Developing Friendships. The goal is for students to learn valuable POWER-Solving skills that they can apply to an infinite number of social situations throughout their lives. Crick, N.R., & Dodge, K.A. (1994). A review and reformulation of social information-processing mechanisms in children’s social adjustment. Psychological Bulletin, 115(1), 74–101. doi:10.1037/0033-2909.115.1.74. Lansford, J.E., Malone, P.S., Dodge, K.A., Crozier, J.C., Pettit, G.S., & Bates, J.E. (2006). A 12-year prospective study of patterns of social information processing problems and externalizing behaviors. Journal of Abnormal Child Psychology, 34, 715-724. Selbst, M.C. and Gordon, S.B. (2012). POWER-Solving: Stepping stones to solving life’s everyday social problems. Somerset, NJ: Behavior Therapy Associates. Steven B. Gordon, PhD, ABPP is the Founder and Executive Director of Behavior Therapy Associates, P.A. He is a clinical psychologist and is licensed in New Jersey. Dr. Gordon is also Board Certified in Cognitive and Behavioral Psychology by the American Board of Professional Psychology and is a Diplomate in Behavior Therapy from the American Board of Behavioral Psychology. Dr. Gordon has co-authored three books, published numerous articles, presented papers at local and national conferences, and served on editorial boards of professional journals. Most recently, Dr. Gordon and Dr. Selbst have co-authored the new social-emotional skills program POWER-Solving: Stepping Stones to Solving Life’s Everyday Social Problems. Dr. Gordon’s professional interests range from providing assessment and treatment for individuals diagnosed with Autism Spectrum Disorders, AD/HD and other disruptive behavior disorders associated with childhood and adolescence. He has co-founded and is the Executive Director of HI-STEP® Summer Program, which is an intensive five-week day program for children to improve their social skills and problem solving ability. In addition, Dr. Gordon has had extensive experience providing clinical services not only for children diagnosed with phobias, stress, selective mutism, obsessive compulsive disorders and depression, but also with adults coping with anxiety,depression and relationship difficulties. Dr. Gordon is a member of the American Psychological Association, the Association for Behavioral and Cognitive Therapies, and the New Jersey Psychological Association. Michael C. Selbst, PhD, BCBA-D is Director of Behavior Therapy Associates, P.A. He is a Licensed Psychologist and a Certified School Psychologist in New Jersey and Pennsylvania. He is also a Board Certified Behavior Analyst at the Doctoral level. Dr. Selbst has co-founded and is the Executive Director of HI-STEP® Summer Program, which is an intensive five-week day program for children to improve their social skills and problem solving ability, and the Director of the Weekend to Improve Social Effectiveness (W.I.S.E.). He has extensive experience working with pre-school aged children through adults, including individuals who have social skills deficits, emotional and behavioral difficulties, learning disabilities, gifted, and children with developmental delays, including those with Autism and Asperger’s Syndrome. Dr. Selbst consults to numerous public and private schools, assisting parents, teachers, and mental health professionals, and presents workshops on all topics highlighted above, as well as Parenting Strategies, Depression, and Suicide Prevention. Dr. Selbst and Dr. Gordon have co-authored the new social-emotional skills program POWER-Solving: Stepping Stones to Solving Life’s Everyday Social Problems. Dr. Selbst is a member of the following professional organizations: American Psychological Association; National Association of School Psychologists; Association for Behavioral and Cognitive Therapies; Association for Behavior Analysis International; Association for Contextual Behavioral Science; New Jersey Psychological Association; and New Jersey Association of School Psychologists. Written by: Different Roads to Learning on April 15, 2016.on April 11, 2016. This entry was posted in ABA, Academics, Applied Behavior Analysis, autism, Autism Awareness, autistic spectrum disorder, Behavior, Development, From the Experts, Guest Blog Post, Research, Social Skills and tagged ABA, Applied Behavior Analysis, autism, Autism Awareness, Autism Awareness Month, Autism Curriculum, autism education, autistic spectrum disorder, conversational skills, developmental delays, developmental disabilities, evidence-based intervention approaches, evidence-based practices, POWER-Solving Curriculum, social information processing, social skills, social skills trainings, socialization, socioemotional development, special education, special needs, teaching tools, transitions by Different Roads to Learning. Bookmark the permalink.